Paige Denim Skyline ankle peg jeans; Patterson J. Kincaid peasant blouse (similar); Forever 21 cami tank (similar); Jessica Simpson Mandalaye ballet flats in Natural; Alexander McQueen skull bangle (similar); MAC lipstick in Angel. Spring is taking its time, weather-wise. But it was so sunny today and it was enough that it wasn’t raining (again) for me to break out the white jeans. And my ballet slipper flats, yay. 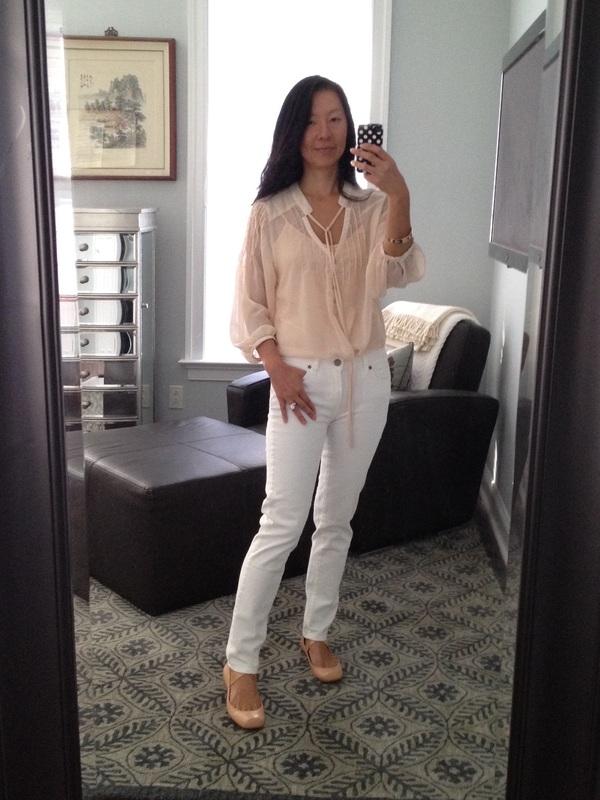 Something about white denim just screams spring and summer, which I adore. I matched my shoes with a pale pink peasant blouse and Cami tank underneath. If you’re wearing layers to deal with this transitional weather, check out the How I Wear My series on Jill’s blog and Adrienne’s blog today where the focus is layers. There are a ton of stylish outfits and lots of great ideas (my jumpsuit love is quite apparent!). Also, check out Alice’s TBT Fashion Link-Up here to see a bevy of Spring styles. Looks like spring has sprung! 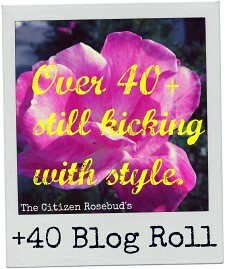 I have been obsessed with blush lately….love your outfit! 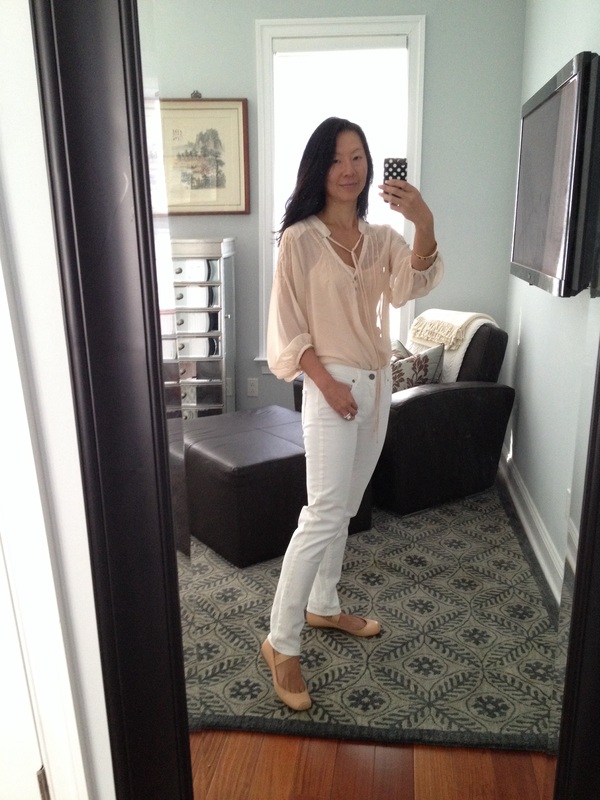 Thrilled to se the white jeans! Yeah for sunshine. They fit beautifully and I love the peachy pink peasant top with it! Thank you, Elle! I love the warmer temps, finally! It is forecasted to warm up in the coming days, but I’m heading to Arizona in a few days so I know it will feel warm. Perfect for wearing my cute new sandals or flats. Thank you very much, Ivan! I appreciate it, comfort is a top priority for me. Thanks again!